Morgan Howard Productions produced a video entitled, “Working Together” which was shown to the shareholders at the Doyon Annual meeting. The video highlights Doyon’s ongoing committment to providing employment opportunities to its shareholders. President Norman L. Phillips wrote a great letter in the paper earlier in the weekn entitled, “Doyon grows into economic engine” about workforce development for shareholders and all Alaskans. Four directors were elected this year. Jennifer Fate, Michael Fleagle, Walter Carlo and Christopher Simon. Fate and Fleagle were re-elected and Carol and Simon replace long-time board members Florence Carroll of Juneau and Michael Irwin of Anchorage. Florence Carroll was not present at the meeting. She asked for her name to be removed from the nomination list. Mike Irwin was at the meeting and spoke directly after the election results were announced. He was very gracious, sincere and in good humor as he spoke about his 15 years on the Doyon board. He talked about the recent serious concerns in regard to his health and how he is now nearly back to normal. Great news. Doyon, Limited, the Native regional corporation for Interior Alaska, is a for-profit corporation with more than 17,500 shareholders. 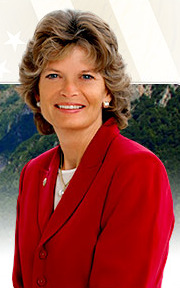 Alaska Senator Lisa Murkowski introduced a bill to resolve the claims of the Bering Straits Native Corporation and the State of Alaska to land adjacent to Salmon Lake and to provide for the conveyance to the Bering Straits Native Corporation of certain other public land in partial satisfaction of the land entitlement of the Corporation under the ANCSA. Mr. President, I rise to speak to a bill that I am introducing today to resolve a land conveyance dispute in Northwest Alaska, the Salmon Lake Land Selection Resolution Act. By this bill the Corporation will gain conveyance to 1,009 acres in the Salmon Lake area, 6,132 acres at Windy Cove, northwest of Salmon Lake, and 7,504 acres at Imuruk Basin, on the north shore of Imuruk Basin, a water body north of Windy Cove. In return the Corporation relinquishes rights to another 3,084 acres at Salmon Lake to the federal government, the government then giving part of the land to the State of Alaska for it to maintain a key airstrip in the area. The Federal Bureau of Land Management also retains ownership and administration of a 9-acre campground at the outlet of Salmon Lake, which provides road accessible public camping opportunities from the Nome-Teller Highway. 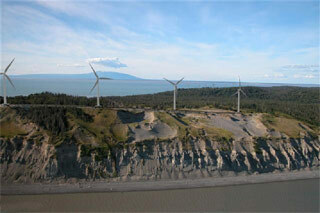 The agreement also retains public access to BLM managed lands in the Kigluaik Mountain Range. The bill fully protects recreation and subsistence uses in the area, while providing the Corporation with access to recreational-tourism sites of importance to its shareholders and which might some day produce revenues for the Corporation. The agreement has prompted no known environmental group concerns and seems to be the classic “win-win-win” solution that all sides should be congratulated for crafting. The key, however, is for Congress to ratify the land conveyance changes by 2011, when the agreement ratification window closes. Passage of this act is certainly in keeping with the spirit of the Alaska Lands Conveyance Acceleration Act that this body passed 5 years ago that was intended to help settle all outstanding land conveyance issues by 2009–the 50th anniversary of Alaska statehood. In Alaska where controversy abounds over land use, this is a hard-fought compromise agreement that seemingly satisfies all parties and makes good sense for all concerned. I hope this body can ratify this bill swiftly and move it to the House of Representatives for its concurrence and eventual signing by the President. The bill is important for residents of Nome who utilize the area and for all Alaska Natives who live in the Bering Straits Region.